One of the biggest female pop stars on the planet, Lana Del Rey celebrates her birthday today. Although we’ve never gotten fully into the singer, some of our favourite artists have used LDR’s music and sampled it in their own output creating some of our favourite songs. 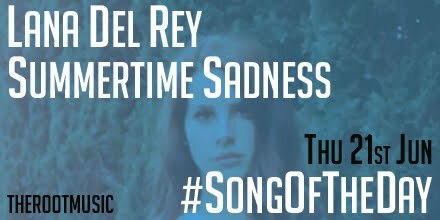 One solo effort from Lana herself which has caught our ears though is our #SongOfTheDay, Summertime Sadness. Posted in UncategorizedTagged Lana Del ReyBookmark the permalink.